Time: Open 10AM-4PM, "11AM Abenaki and Nature Program"
We are all fortunate to live on this pale blue dot that we call Earth. Come celebrate the natural world and learn more about it! 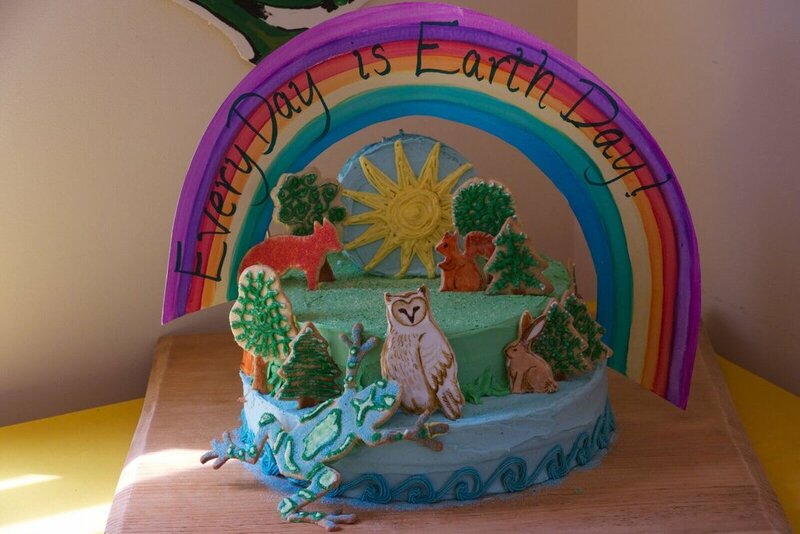 Come for the "The Abenaki and Nature" program at 11AM and stay for a piece of Earth Day cake, delve into the museum, explore the outdoors with an exploration kit, grab a trail map to hike the Grafton Village Trails, or go on a scavenger hunt! Long ago, the Abenaki people relied on nature’s many resources to survive. This included making clothing and building shelters from natural materials. Their food came from hunting, gathering, farming, and fishing. Knowing all about the natural world, and being connected to it, was very important. Come experience native american artifacts, listen to Native American stories, play traditional games, and make a craft, Join us in learning more about the Abenaki and how we can learn from their close relationship with nature. Afterwards, delve into the museum and head outside to explore! Grab a trail map, try out an exploration kit, or go on a scavenger hunt!